Microsoft recently accepted that it was a bad decision to force its users to upgrade to windows 10. This year Microsoft tried many ways to push the newest OS on to existing Windows 7 and 8 users. Microsoft received lot of flak for the way it pushed Windows 10 on customers so aggressively. 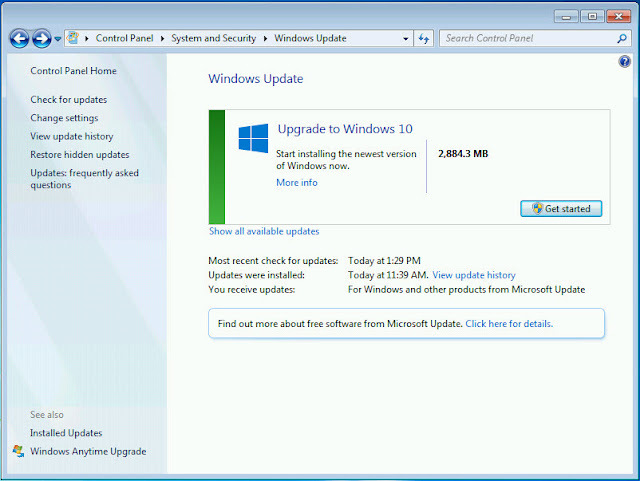 Microsoft has been trying to increase Windows 10 adoption ahead of its July 29 free upgrade deadline. So many Windows 7 and 8 users has complained to the company about free Windows 10 upgrade pop ups which does not have cancellation option beyond the red X button. Chris Capossela, Chief Marketing Officer Of Microsoft, accepted that it went a bit too far with its strategy. Capossela also said " We kno wwe want people to be running Windows 10 from a security point of view, but finding that right balance where you are not stepping over the line of being too aggressive is something we tried. Those two weeks were pretty painful and a low light for us." One Californian woman has given compensation $ 10,000 by Microsoft over the issue after she claimed for forcefully installing the Windows 10 update on her PC without her permission and crashed her work PC. Finally Microsoft will stop forcing users onto its newest operating system. As of now, the company will let the adoption of Windows 10 take place naturally and will not resort to users to accept what is otherwise a decent upgrade.